In my opinion, right now, a Precious Metals Investment, specifically Gold and Silver, is and will be one of your most profitable and safest investments you can make. First let’s look at some economic history, specifically in the USA, as its dollar is the world's reserve currency. The world monetary system used to be backed by gold. If you had enough currency, there was a way for you to redeem it for gold. If you felt your currency was losing its purchasing power to inflation, you could exchange it for another more stable currency in a neighboring country or for a precious metal such as gold or silver. In the mid 1900s, the nations of the world agreed to tie their currencies’ value to the US dollar. Why? After their war spending, no nation had a significant amount of gold left. They didn’t want each other’s worthless currency however, they did want to trade with each other. In contrast, the US dollar was backed by gold. The US had accumulated the biggest share of the world’s investment gold during World War II . Tying to gold through the US dollar was a compromise that helped nations feel confident about doing business together again. For 4 decades in the U.S. (1934 to 1974), gold was also illegal to own as per the Gold Reserve Act as signed by President Franklin Delano Roosevelt. The Gold Reserve Act, which banned the export of gold, restricted the ownership of gold and halted the convertibility of gold into paper money. On August 15, 1971, President Richard Nixon announced that the United States would no longer convert dollars to gold at a fixed value, thus completely abandoning the gold standard. The U.S dollar was now backed by nothing. He made this change because foreign countries being paid in U.S. dollars grew skeptical because the U.S. Treasury was printing more and more money to cover their debts (doesn’t this sound familiar? ), and they began to exchange their dollars directly for gold and therefore depleting most of the U.S. gold reserves. The vault was being emptied because the government was importing more than it was exporting and also because of the costly Vietnam War. And as their economy grew, they were importing more and more oil. In reality, the U.S. was starting to go bankrupt and could not pay its bills as long as their bills were to be paid in gold. By freeing their dollar from gold President Nixon created a way for them to print its way out of debt. Thanks to President Gerald Ford, in 1974 he signed legislation that permitted Americans again to own gold bullion. Therefore in 1971, the world’s rules of money were changed and the biggest economic boom in the history of the world began. But then inflation took off. As more and more money was printed in each decade, over time the value of their dollar began to decrease and the prices of goods and assets went up. Everyday debt by the middle-class also took off. Most recently in the last few years, credit cards were and are being given out by the banks freely, and money was flowing freely. People started using their homes for equity loans to go on expensive vacations, buying not one but two SUV’s etc., and the party was on. House mortgages were being given out freely too, to people who really couldn’t afford to make the mortgage payments. And because they couldn’t make their payments, the Banks got into trouble and their debt grew…and then the banks themselves started to go bankrupt, and this was not limited to the U.S.A., this spread throughout the globe. 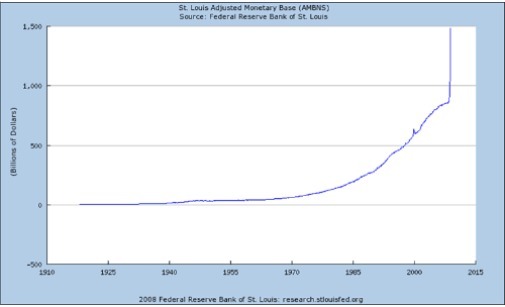 So governments throughout the world started bailing out the banks…by printing even more money to do so. This became known as the Subprime Crisis. Meanwhile the Wars in Iraq and Afghanistan were and are tremendously costly for the U.S., and all the countries involved, therefore more money needed to be printed. And as economies around the world have been failing, fear of deflation is real and Trillions of dollars by governments have been created & spent to be used as “stimulus”, to hopefully re-ignite their economies. The Federal Reserve, and other central banks around the world, have printed unprecedented amounts of currency. In fact, this is the definition of monetary inflation – the creation of money without the corresponding creation of assets. This is known as Fiat Currency. As economies grow and more assets are created, more currency is required to keep the wheels of commerce turning. However, when more currency is created than assets, the result is monetary inflation. The Federal Reserve Bank of the United States has created some three trillion dollars in the past six years, even though the U.S. economy actually shrunk. Since President Obama took office, the rate of increase in the money supply has more than tripled. That inflation has not yet been felt. The real rate of inflation will hit double digits. And even when the government adjusts the CPI measurement again, more people will begin to realize we’ve been duped. When the official U.S. inflation level gets into the high single digits, say around 8%, the U.S. equity markets will have a tough time. Many will know by then that U.S. treasuries are no longer safe. Those who do will turn to precious metals; gold and silver. 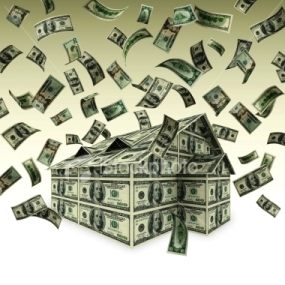 Money has in effect being created out of thin air….and the more that gets printed, the lower its value goes, especially the U.S. dollar. It’s simple supply and demand. 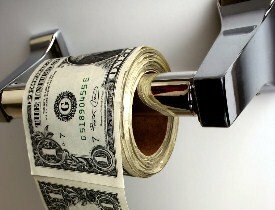 This fiat currency is funny money, and eventually becomes worthless, like used toilet paper. It took 85 years to go from a small amount of U.S. dollars in circulation to $850 billion in circulation. But it took just 2 years, 2007-2009, to double that amount to over $1,700 billion in circulation – and money is still being printed through a vehicle called Quantitative Easing. 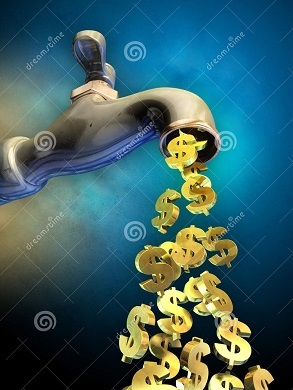 Because the United States is printing money, all other countries are printing money because their currency will become to strong against the U.S. dollar and then exports to the United States will slow down, causing a slowdown in the exporting country’s economy. And because of over-supply, the U.S. dollar is being deflated. So where is the money investment flowing to? Money is flowing to precious metals; gold and silver, both as an investment and as an insurance policy against a weakened dollar. Today, gold and silver remain the commodities that are internationally accepted as money. This is the current wealth cycle. And supply of silver has dramatically gone down. This is because silver is consumable, it is used in such things as cell phones, computers, light switches, and reflectors in mirrors. Go here for inside information on the rise of Silver prices. Also, Gold production has been going down through the years. And the Chinese, Russian & Indian people are now allowed to invest in gold and silver which adds more demand for them. In fact in the past, only 10% of the Worlds population were once allowed to buy gold and silver. Now 90% of the population can purchase these precious metals. This adds tremendous more demand. Theses factors add up as gold and silver precious metals Investment the right place to invest your money. Never before in history have all the world currencies been Fiat Currencies at once. There is no other place to run to, to protect your “Dollar Wealth’, as in reality governments are confiscating your wealth, buy printing more and more dollars, which is going to cause high inflation. This could be the greatest opportunity in mankind, because this is possibly the greatest Wealth Transfer in man-kind. In 2003, gold prices were $300 an ounce. In 2012, prices were pushing $2000 an ounce, and Silver had hit almost $50 an ounce. And we could be still only at the beginning of this massive Bull run, in both Gold and Silver. Today’s Fiat currency bubble is inflated to unprecedented heights, and because every currency in the world is fiat currency, the only safe haven money investors can turn to is gold and silver. As the currency and stock bubbles implode, a commodity cycle—favoring gold and silver that can be used as money when currency has become valueless—is just beginning. Also, the end of the currency cycle corresponds to the winding down of a stock cycle, magnified as millions of retiring baby boomers are mandated to withdraw 401k and RRSP's funds from the market. We’re living in a world that is interconnected and interdependent in ways unimagined a couple of decades ago. With communications occurring at the speed of light, with former developing nations now populated with eager investors, with global trade imbalances and unstable currencies balancing governments and markets on knife’s edge… when this correction starts, baby, it will be the mother of them all. 1: Get educated on a Precious Metals Investment . Don't take my, or anyone else's, word on this. Read books by the experts and research the subject thoroughly and decide for yourself. 2: Buy physical gold and silver and take possession of it (or have it stored at a third party depository). An excellent book on to help you learn and educate yourself on the state of the global economy and why precious metals and gold prices are sure to soar to $10,000/oz. and beyond is $10,000 Gold. Written by Nick Barisheff, who is one of the world's leading authorities on gold, $10,000 Gold explains why the price of gold will continue climbing to $10,000/ounce and beyond in the years to come. This book provides invaluable advice on protecting money by putting it into the safest asset class on earth, Gold and Silver. OK, next question you probably want answered, what resource for purchasing precious metals do you recommend? Based in Las Vegas, Nevada and Calgary, Alberta, Canada, they specialize in the instruction of precious metals investing and providing world-class gold and silver dealer services. They have tens of thousands of satisfied customers who have taken their financial future into their own hands by investing in gold and silver. You can buy Gold and Silver securely right from their website and they deliver to all over the world. 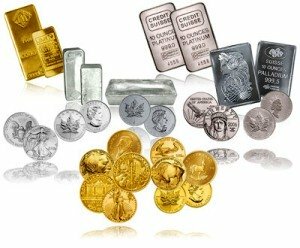 Learn How to Buy Gold & Silver! Learn to Trade the Stock Market! Learn why gold prices are sure to soar to $10,000/oz! Return From "Precious Metals" to the Home Page: "Stock Market For Beginners"